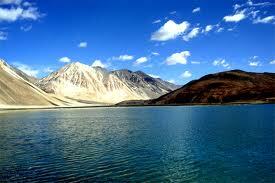 Srinagar to Leh,Srinagar to Ladakh,Kashmir Ladakh Tour Package,. 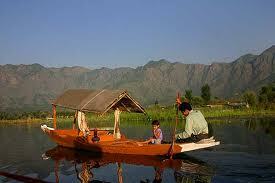 On arrival at Srinagar, you will be met by our representative at the airport and transfer to Deluxe Houseboat. Afternoon free for personal activities. Evening shikara ride on Dal Lake to enjoy the sunset on the Lake. Overnight at Houseboat. Half day tour of world famous Mughal Gardens visiting the Nishat Bagh (The garden of pleasure) built by Asaf Jah in 1636 and Shalimar Bagh (Abode of love) built by Jehangir for his beloved wife Nur Jahan in 1619 AD. Afternoon Shikara ride on The Dal Lake to enjoy the beauty that God has graced this city with which is often compared to Venice. You will get a view of some very interesting places around the Lake. Overnight at Houseboat. Leave in the morning and drive to Kargil by car/coach road passes through the panoramic village reach Sonmarg (2740 Mtrs) After Sonmarg most rough road and wet Zojila pass 3527 Mtrs (Gateway of Ladakh). Continue drive towards Drass (The second coldest inhibited place in the world) we stop here for tea and passport check. Another two and half hours drive will take us to Kargil (2710 Mtrs) which has got its importance after opening of Ladakh for tourists in 1974. Overnight at Hotel. Full day excursion to Thiksey monastery. It is better to visit early in the morning to see Sunrise and Praying ceremony and visit Hemis monastery which is one of the biggest and most popular monastery of the region on the way back visit Shey Palace. Overnight at Hotel. Morning half day tour of Stok PalaceIMuseum and on the way back visit Tibetan Refugee Camp at Choglamsar. 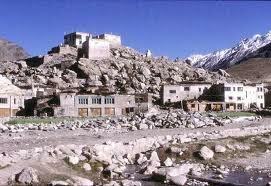 Afternoon visit King's Palace and Tsemo Gompa which commands one of the magnificent view of the Leh town. Overnight at Hotel. Full Day Sightseeing and Evening Transfer to Airport to connect onwards destination flight.